This article was updated on December 2nd as a result of a possible change due to the day of mourning announced upon the death of President George H.W. Bush. The bills temporarily funding a number of federal agencies will expire at 12:01 AM next Saturday, December 8th. If nothing is done, there will be a partial shutdown of the federal government. The spending bills for a number of agencies for the fiscal year that started on October 1st have not yet been approved. About 300,000 federal employees would be impacted as they are working in agencies for which a spending bill has not been signed. The agencies impacted include the Departments of Transportation, Housing and Urban Development, State, Interior, Agriculture, Treasury, Commerce, Homeland Security, and Justice. Members of the House of Representatives will return to Washington by Tuesday night. This means no spending bills will be passed until later this week. As usual, no decision is likely to be made without further delay. Given the significant philosophical and political differences in the House, and the short amount of time left before the current spending bills expire, another continuing resolution (CR) seems likely. The CR could be for a short time, probably lasting at least one week. While an agreement has been reached on funding for a number of agencies, there could still be a shutdown impacting a number of federal employees. The funding needed for a border wall is about $5 billion, and that is the largest disagreement as Democrats do not support funding of a border wall despite the mass migration caravans. About 300,000 federal employees could be furloughed if an agreement is not reached on a spending package. As a result, the biggest disagreement is over funding for the Department of Homeland Security (DHS). 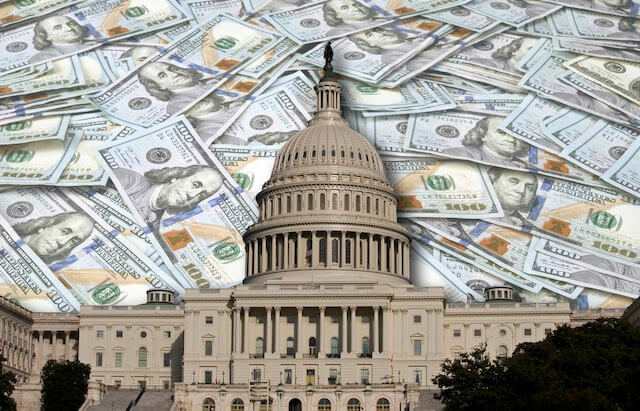 One possibility is that Congress will pass the less-controversial spending bills and extend existing funding for the Department of Homeland Security for a year. If Congress decides to take this approach, it is not clear if President Trump will agree to another delay in funding the building of a border wall. The president has said the final spending package has to include these funds. Agreeing to fund all agencies except for DHS would reduce the pressure to pass a bill that includes funding a border wall. That is why Senate Minority Leader Chuck Schumer (D-NY) has indicated Senate Democrats would support funding all remaining agencies with the exception of DHS. On Wednesday, December 5th, the Federal Government will close in honor of America’s 41st president who died last Friday. As a result, President Trump is open to delaying a potential shutdown of some federal operations by at least a week. On his way home from the G-20 summit in Buenos Aires, President Trump indicated he is open to as much as a two-week extension. “If they come to talk about an extension because of President Bush’s passing, I would absolutely consider it and probably give it,” the President told reporters on Air Force One. As this will be the last opportunity for President Trump to secure funding of a border wall with Republicans in charge of the House of Representatives during his first term in office, he has a strong additional incentive to take strong action to obtain funding for one of his major campaign topics. No doubt, there will significant behind-the-scenes maneuvering and negotiating in the next few days. Any government shutdown will impact fewer people than previous shutdowns as funding has been approved for many agencies. A funding lapse for DHS, however, would mean tens of thousands of employees in that agency would be working without receiving a regular paycheck until the issue is resolved. What Happens to Your TSP Account During a Shutdown? Will Federal Employees and Retirees Get Paid in a Shutdown?